Cuffing Season …behold, the time of the year where your blankets, cats, and popcorn are not good enough cuddle buddies and you begin to yearn for something more. 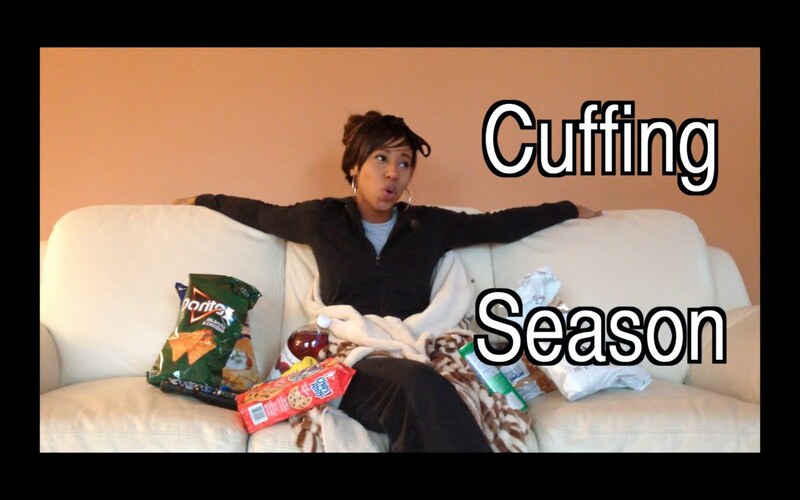 Cuffing season is upon us, in full swing. According to Urban Dictionary, this phenomenon occurs after Halloween and continues until Valentine’s Day. Men and women alike start having a hard time being alone. They decide it would be better to have someone around to steal bodily warmth from. Plus, playing footsy is so much better in fuzzy socks! When the weather gets colder, our hearts get warmer. We also get sadder, and human interaction has been known to boost dopamine in our brains, and activates pleasure sensors. So basically, being around people who care about us help to fight sadness. Fight it, and win! 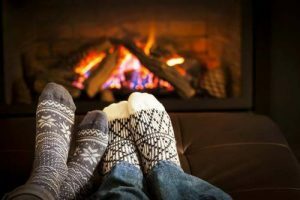 If you’re currently unattached, it’s not too late to start swiping right to find your cuffing season love match. Don’t be afraid of striking out. You are definitely not alone in this endeavor. Many other people will be looking for their Cuffing season Netflix & chill buddy. When you match with a potential suitor, relax. Your string of thoughts is endless, and it can be hard to get it all out in text. When you send one message, you suddenly realise you had something else to add. When you send that second one, it becomes addicting. But like I said: relax. Something to avoid at the start of a conversation is double texting. It can be distracting for the guy to have multiple things to respond to all at once. Unfortunately, they are not as good as we are with multitasking. If you really want your message to be responded to, start with one text. And go from there. Don’t ask him about his job, his pets, his hobbies, and his dreams all in one go. It’s a lot to take in from his side of things. When you start to have a good flow going, you can now begin texting him with more rapid succession. Just don’t completely gun him down. Relax. Great! Now you have a guy who is really into you. You are brainstorming about what show you should start binging together! Now put on the brakes. Don’t let the first date be a movie session on the couch. There are too many possibilities for being at his house for an evening. Instead, suggest something light and casual. A nice coffee date is always a safe bet for the initial get together. Cold weather plus hot drinks is a delicious combination. And if the date starts going south, just claim that there’s a snowstorm on the way and that you should really head home. 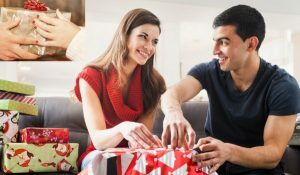 If the date goes smoothly, you are well on your way to securing a cuffing season buddy for the holidays. What’s more daunting than meeting your significant other’s parents? Meeting your significant other’s parents, siblings, cousins, and grandparents! This can be a nerve-wracking occasion, but you must remember that you aren’t alone. You were brought here because you are a special person in someone’s life. Besides, if you cosy up to the siblings and cousins, chances are that you can divulge some embarrassing yet hilarious tales about your new boo’s younger, carefree days. If your new love doesn’t want you hearing about any dirt, then he will keep you close to his side as he catches up with family. Either way, it’s a win-win. But before you step foot into the family arena, make sure you are studied up with a few choice tips. Who’s conservative? Who’s liberal? Who has racist jokes stuck up his sleeve and doesn’t seem to get a clue? While you’re lightly grilling him about his family, go ahead and grab some conversation topics to discuss with his mom. This one is huge. Mothers are quite fond of their sons, regardless of how much of a “mama’s boy” your boo may be. If you get on her good side, you are golden. Christmas comes around, and you want to get him a gift. Because you haven’t spend scads of time together, this can be a bit difficult. But this can also be a good reason you are now in contact with his family. They can give insider information about what he would love receiving. However, try to keep it small. In the chance that he doesn’t end up getting you anything at all, you don’t want to make him feel guilty. Something small but sentimental should do the trick, like a nice bracelet, a fun keepsake, or a book he’s been wanting to read. Now that you’ve made it over the initial hurdles, what now? Cuffing season typically ends shortly after Valentine’s Day. It’s literally supposed to just last through the main holidays, such as Thanksgiving, Christmas, and Valentine’s Day. There’s no telling how long you and your companion are planning on making it last. Make sure you are able to talk about it, though. If you really are wondering about the future after cuffing season and what it holds, share this with him. But don’t give him any ultimatums or make him feel like he has to give you a “right” decision. Your relationship should flow. You can’t force things to be the way you want them to be. Relationships are a two-way street, so just remember to look both ways before you continue on your way.